Project comprised of the conversation of 4 existing barns at the Great Tangley Manor, situated on the Surry Hills, which was the hunting lodge for King John which is 1000 years old. The barns were not built until the 1600 century and classified as being listed. 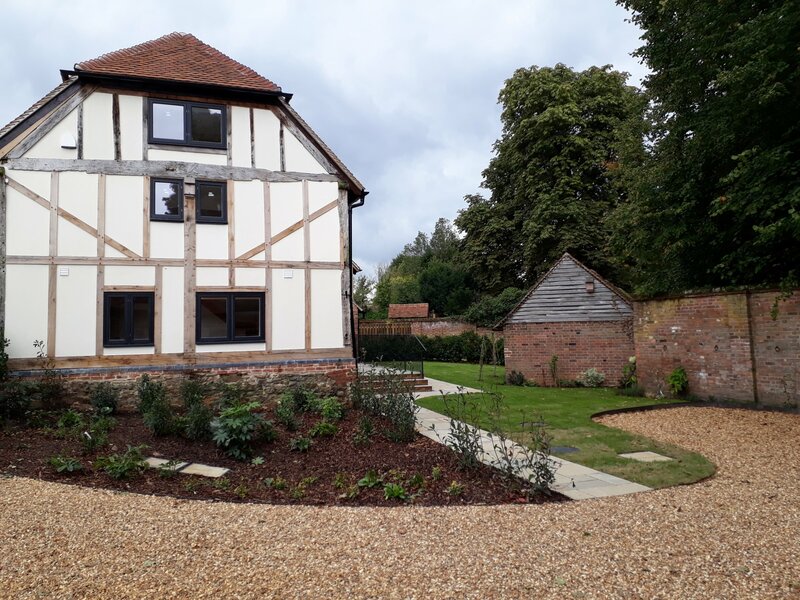 All externally and internally works in upgraded each property had to be with in keeping with the history and style of the barns and required prior approval by the English Heritage Planner. The barns all range from 3-4 bedrooms, with en-suites to main bedroom and additional large family bathroom. All with full fitted kitchen’s, uniquely designed to suit each barn. Each one of the properties have been converted to a very high standard, all being very individualistic and quirky and sympathetic to each one to maintain their character. Springwood House was designed by Weal Architects to be sympathetic to its woodland setting and to incorporate sustainable materials. Set under a main roof of slate with lower sedum covered flat roof the house is timber framed construction, clad with sweet chestnut together with oak feature posts and glulam beams. Aluminium Velfac windows and high performance frameless glass doors complete the external envelope of the building to take advantage of the woodland views. 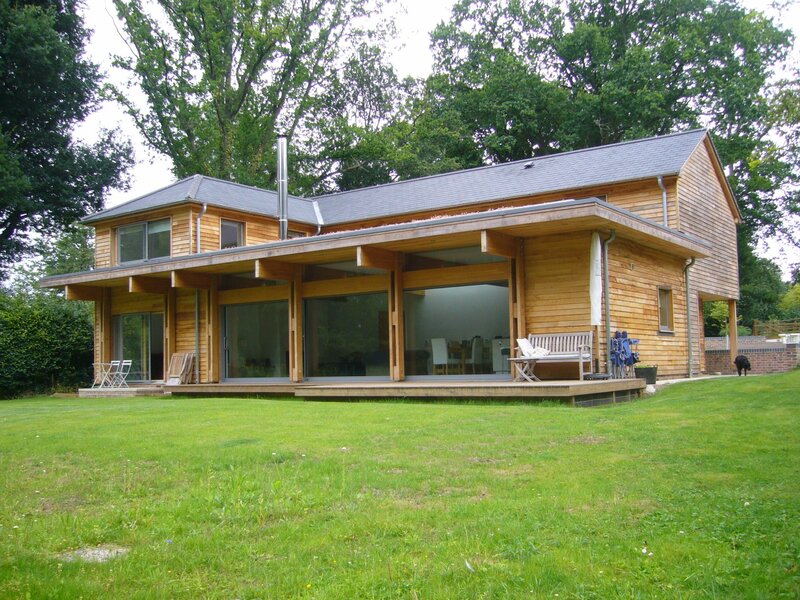 High levels of insulation are utilised throughout the building with underfloor heating by a heat source pump together with a wood burning stove to make use of the ready supply of logs from the woodland. Centralised mechanical extract ventilation is provided to all bathrooms and kitchen areas. Internally the ground floors are ceramic tiled with open plan areas and exposed glulam beams. The owners previously occupied a smaller property on the site and took an active involvement in the project throughout. Designed by Grahame Jenkins Chartered Surveyor Woodside Cottage is a substantial five bedroom house of traditional construction set over three floors. 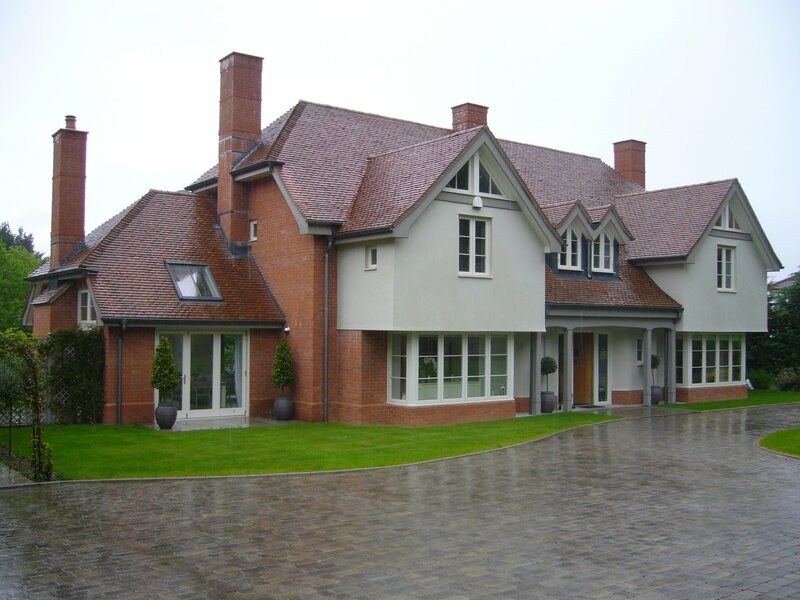 Brick and rendered elevations are set under a plain tile roof with high performance double glazed timber doors and windows. Internally the house is finished to a high standard with four luxury bathrooms, a mixture of ceramic and hardwood floors and a central feature staircase.